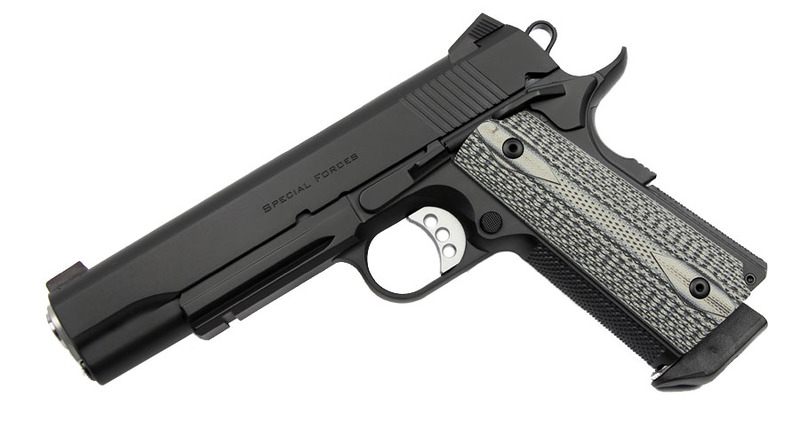 The Ed Brown Special Forces 3 is a full size pistol featuring a 5" barrel, Light Rail, G10 grips, single side thumb safety and the new, more aggressive Chainlink 3 treatment to the front strap and mainspring housing. The new Gen 4 finish is the latest evolution of polymer coating technology. Currently in use by several military units, the Gen 4 finish offers the best wear resistance and corrosion protection known to date. Comes with two magazines, manual, soft case.